2011. Copywriting. 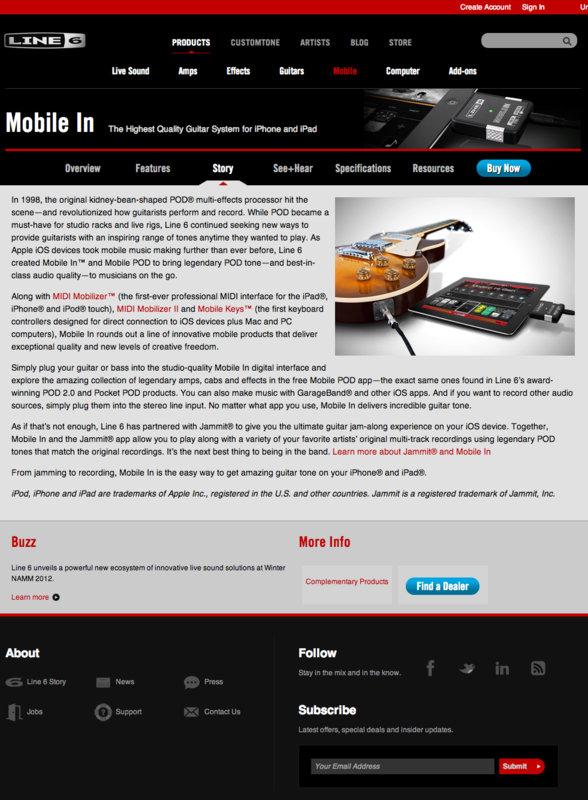 Mobile In connects your guitar to your phone or tablet so you can play along with your favorite songs. It's not the only product to do so. But it's the only product that does one very important thing: sound great. All other products have poor quality sound, but not Mobile In. Thanks to its innovative connector and Line 6's unique guitar technology. And that's the story I wove into Mobile In's website copy, which helped it rocket to #1 in its category as soon as it hit the Apple Store shelves.